I went out to the airport one day. I heard Spanish, Amharic, Korean, Hindi….. Nobody was speaking English. Everybody was speaking a different language. Everybody was from somewhere else. 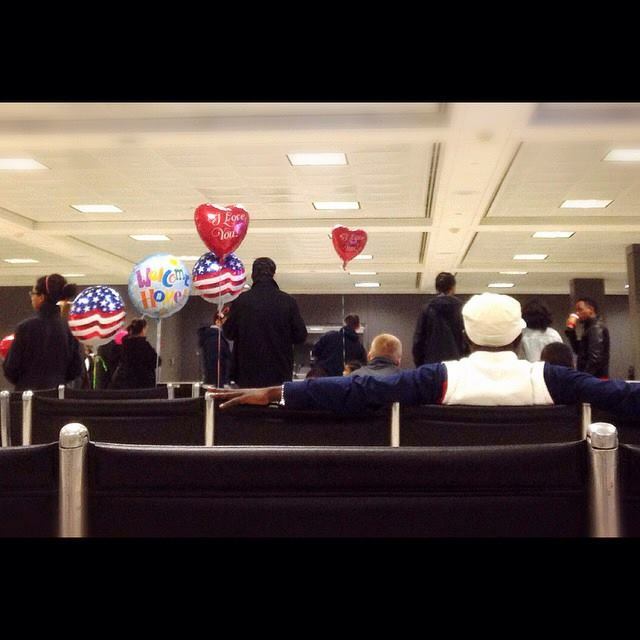 But we were all there together, waiting to welcome someone home. People come here and make this place their home. How do you do that? How do you make another country home?